The vendetta in space had started centuries before "Mouse" Storm was born, with his grandfather's raid on the planet Prefactlas, the bloodbath that freed the human slaves from their Sangaree masters. But one Sangaree survived--the young Norborn heir, the man who swore vengeance on the Storm family and their soldiers,in a carefully mapped plot that would take generations to fulfill. Now Mouse's father, Gneaus, must fight for an El Dorado of wealth on the burning half of the planet Blackworld. Over the last century the Patriarchs of the West have demanded crusades to claim the Wells from the Pramans, the followers of the Written. Now an uneasy truce extends between the Pramans and the West, waiting for a spark to start the conflict anew.Then, on a mission in the Holy Land, the young Praman warrior Else is attacked by a creature of the Dark - in effect, a minor god. Too ignorant to know that he can never prevail over such a thing, he fights it and wins, and in so doing, sets the terrors of the night against him.As a reward for his success, Else is sent as a spy to the heart of the Patriarchy to direct their attention away from further ventures into the Holy Lands. Dogged by hidden enemies and faithless allies, Else witnesses senseless butchery and surprising acts of faith as he penetrates to the very heart of the Patriarchy and rides alongside their armies in a new crusade against his own people. But the Night rides with him, too, sending two of its once-human agents from the far north to assassinate him.Submerged in his role, he begins to doubt his faith, his country, even his family. As his mission careens out of control, he faces unanswerable questions about his future. It is said that God will know his own, but can one who has slain gods ever know forgiveness? 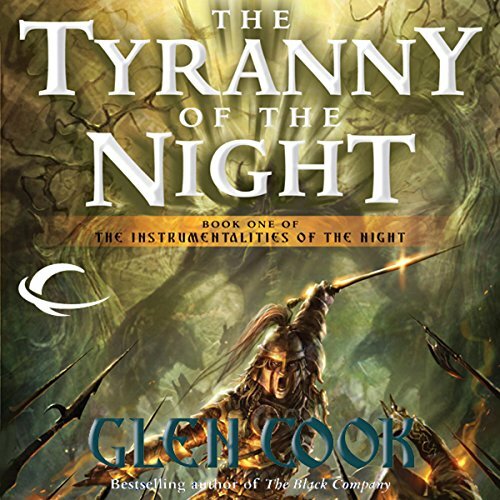 ©2005 Glen Cook (P)2012 Audible, Inc.
What disappointed you about The Tyranny of the Night? The narration was horrible. Stilted cadence, most sentences seem to end as a question. and the character voice variation is almost non-existent. I liked the idea of the story, but couldn't continue to listen after 2 hours. I'll have to go for the print version on this one. 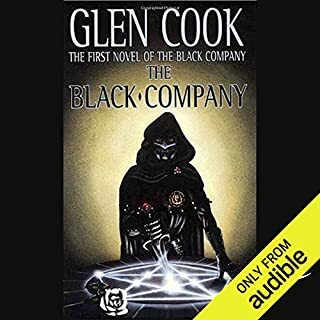 I bought all three based on what I've read and listened to by Glen Cook. I wish I could get those credits back because I'm not going to listen to this version of the books. I am sure the rest of the story would have been good but I will never know until I get some time to actually read it. This narration was horrible. The stilted and strange cadence of the reader completely distracted me from the story until I had to give up in frustration. Would you be willing to try another one of Eric Synnestvedt?? ?s performances? What did you like best about The Tyranny of the Night? What did you like least? I will give this story the benefit of a doubt because I couldn't get farther than an hour into it. The narrator is just terrible. 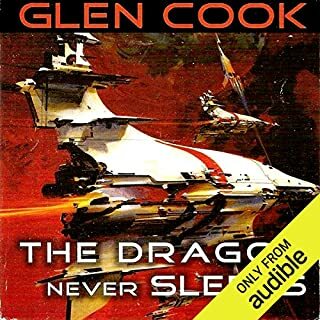 I never "read" a book I didn't like from Glen Cook. Was hoping getting one of his series on audible would give me more time to chip away at his vast library. 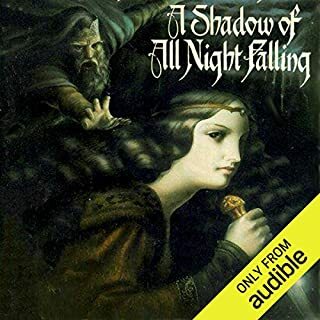 This narrator has two voices and both of them sound shallow and snobbish. You can't casually listen to this because you will never know when he switches between characters. If I made it far enough to know the plot I doubt I would have been able to attach myself to any of the characters since the narrator's voice makes them all hateable. Was The Tyranny of the Night worth the listening time? Listening? No, but I would be willing to give the book a chance. 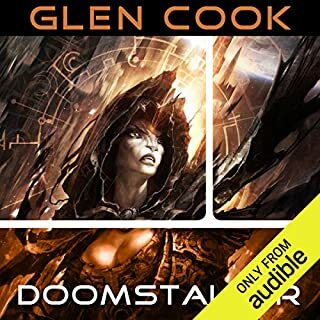 There are a lot of audiobooks that have bad reviews for the narrator that I have learned to like after getting through the first chapter or so. Shadowmarch and A Feast for Crows are two examples where I stuck with them and after a while I forgot why I detested the reader so much. This is not one of those books. 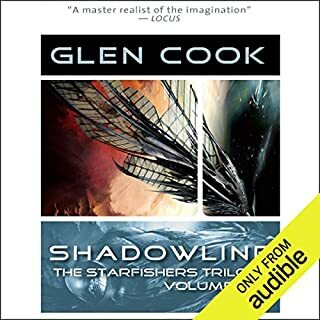 There is nothing about this narrator that leads me to believe he will eventually voice characters any different than the first 10. 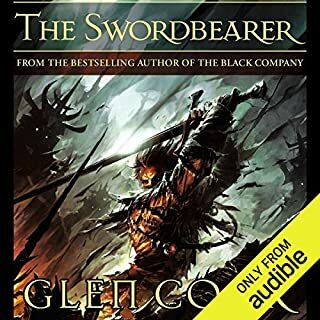 The book may be good, I couldn't get past the horrible narration to listen to the entire book. since the same narrator is on all the books I will not waste my time or money on the rest. My rating on the story was only so that I could leave a review. I don't know the story yet. I'll have to read it in print because the reader just does NOT work for me. I cannot absorb what he is saying. I don't specifically know why. He sounds like a bad robot to me. I'm sorry, reader, I'm sure it's hard work and probably most folks are fine with your reading, but I need a different reader.